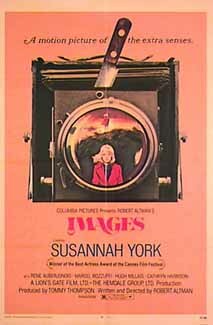 Like Polanski's heroine in Repulsion, Susannah York's character is one that is seemingly haunted by memories of undisclosed magnitude. These memories are perhaps rooted in some sort of past sexual turmoil that causes York's character to see men as inherently the same. 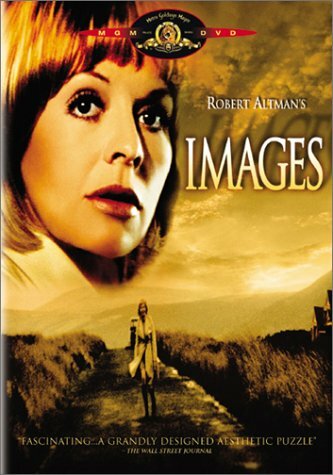 Unique and Unusual 8 out of 10 This is the missing link for any Altman fan or detractor.This is the film that proves Robert Altman is not only a master at his craft, but a true artist.This film is different from any of Altman's other films and was way ahead of it's time.It shows that Altman is not only beyond labels, but is deftly skilled at handling just about any directoral task.This film has no borrowed elements and is completely original from beginning to end. The story involves a tormented and emotionally fragile women (York) who starts to see and hear strange visions.These visions seem so real that she can no longer tell if they are all just inside her head or not.She decides the only way to rid herself of them is to mentally 'kill' them, but this in turn only leads to further complications.The pace is slow, but deliberate with a pay off that is worth it.. What really makes this a unique film is that you get inside this woman's head.You actually start to understand her logic and experience her torment.The film also makes terrific use of silence and uses it to accentuate the isolation that the character feels.The setting has a sort of surreal quality and the location of the house is impressively remote. York has a knack for playing victimized and vulnerable women.In many ways her role here seems like an extension of what she did in THE KILLING OF SISTER GEORGE.She makes you very sympathetic to her condition however her screams are too screechy and fail to attain the shrillness that would create the startling effect that the filmmakers desired. The real star may actually be Vilmos Zsigmond and his cinematography.One could almost watch it for this alone.His framing and composition is not only flawless, but breathtaking.He makes the wintertime Irish countryside look like a whole different world.The stillness of the lake that they show seems almost unreal. There are a few too many obvious and cliched shots of mirrors and puzzles.It could also have gone much further with it's unusual premise.Still this is a very unique and entertaining movie that should keep you guessing all the way to the end.The ending is quite clever, but does require that you watch it all the way through and pay close attention.